Ah how things have changed. No longer do I have the opportunity to stumble upon local bookstores in London. Sadly, my favourite bookstore, an enormous two story Borders based in downtown Redmond is no longer there. Devastating news. As soon as I earned my driver’s license I would spend endless hours at that Borders. Now there is no longer ANY bookstore in Redmond, WA where one can purchase new books. (I’m sorry, grocery stores don’t count). Instead Redmond has used bookstores. Some have new titles, but most are gently used. It’s not a terrible thing, it’s a grand idea to reuse titles that might mean more to someone else. I just hate how the world is turning into relaying on the Internet to purchase books when bookstores are struggling. My purchases for this month are not YA based and next month for my ‘May reads’ you’ll see why. Instead I have indulged myself with craft books that I have been wanting for a long time. The knitting book is pure gold, so I’m curious to see how I get on with the crochet book. These two are purchased from Amazon. 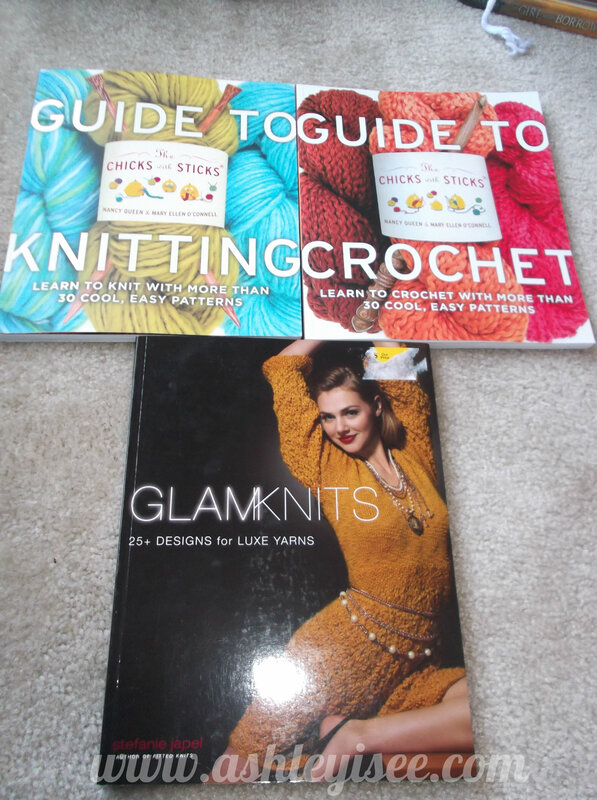 Glamknits is from a used bookstore in Redmond. It has a fantastic open cardigan pattern. Although this book was purchased in March, it truly deserves special mention. I purchased this lovely piece of book art from the Victoria and Albert Museum gift shop after experiencing the David Bowie exhibit that’s currently running. Seriously, if you’re in London and enjoy David Bowie’s music, GO to this exhibit! It’s amazing and exciting and absolutely fantastic! 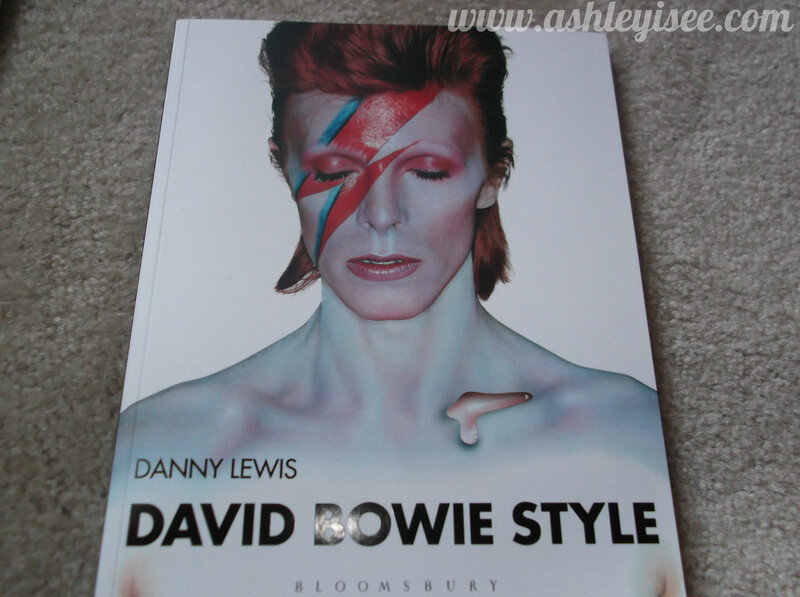 Ashley, Books, Crochet, and David Bowie = ALL THE THINGS I LOVE IN ONE POST! Thanks lovely! I wish you lived closer so you could teach me crochet! Yes! It’s the perfect plan! We’ll design our own clothes and earn a living that way! Sailor Moon knit/crochet wardrobe here we come!